Everything is made easier by having the right tool. And when that tool is a thing of great beauty — well it’s almost enough to just look at it. This is a very special birthday gift to myself. 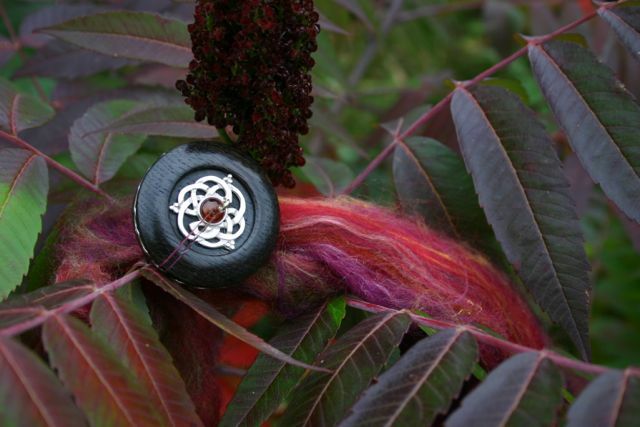 It’s a Golding ring spindle, made of ancient bog oak from northern England. 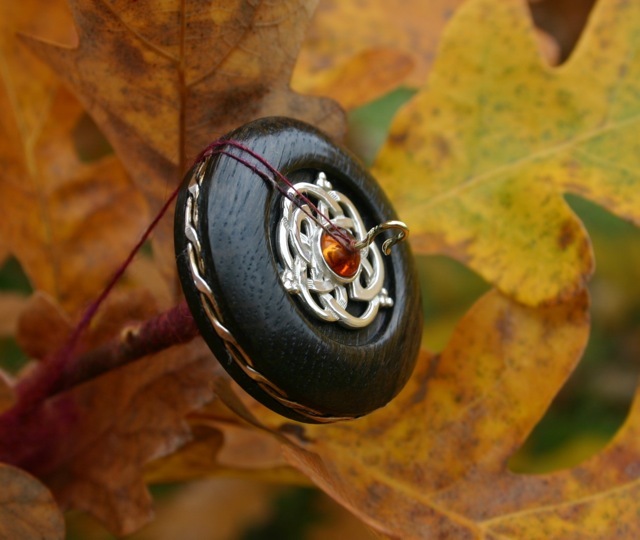 The inset is a piece of jewellery from the Shetland islands, made of silver and amber. Beautiful, mysterious, magic, and it spins wonderfully. I walked around the farm to admire it in different lights and in the company of various coloured leaves. 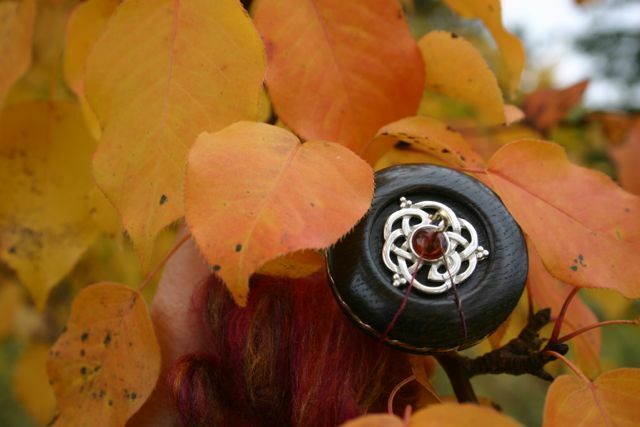 This spindle is an inspiration. It connects me to a venerable craft and reminds me that even simple actions deserve to be blessed with beauty. May we have a delightful and productive time together. Aaah ... took my winter weary eyes and soul to Art in Bloom at the Winnipeg Art Gallery today. Locals, get in there this weekend if you can.